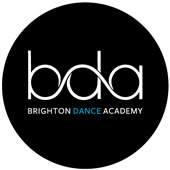 The form below is for all students wishing to enrol at Brighton Dance Academy in 2019. Please list classes/styles you want to enrol in, in the comment box just after the Terms and Conditions section. If enrolling as a trial, please type (trial) next to the relevant classes. The 'Classes by Age' document will help you find relevant classes by year at school. 1.1. I understand that Brighton Dance Academy assumes that student enrolments will roll over to the next term unless otherwise stated. Due notice must be given via email. 1.2. I understand that once my child has been enrolled in a class, they cannot change their enrolment until the following term. 1.3. I understand that if I wish to remove my child's name from the Academy's database, notice is required via email. 1.4. I understand dance is a physical art form and that use of general touch appropriate to dance training will take place. Students/parents at any time can request to no longer receive physical corrections. 1.5. I understand that first aid will be administered to my child if necessary by a first aid-trained teacher. This includes appropriate touch and an ambulance to be called if the first aid-trained teacher deems it appropriate. The cost of the ambulance will be passed on to parents/guardians. 1.6. I give permission for photo and video footage of my child to be used on the BDA website and other such media including, but not limited to, press releases, Facebook and Instagram. BDA teachers with dance specific social media accounts may also post pictures and videos of their student's progress. Photos and videos may be used as stated above unless I provide an email request NOT to have my child's photos/videos used. 2.1. I understand that all students are expected to participate in the annual concert and all costume making is outsourced. A costume levy is payable per concert dance item and is non-refundable. 2.2. I understand that if I do not wish for my child to be involved in the concert, I will notify the school during enrolment so that the costume levy can be waived. 2.3. I understand that after Term 3 has started, no changes to concert classes can be made due to concert preparations. 2.4. I understand that if I do not give the office notice before the deadline, a costume will be ordered for my child and will be non-refundable. 2.5. I understand that there is a minimum attendance policy in place for the concert and that if my child misses 4 or more classes for a particular dance in Term 4, they will be taken out of that dance. All costumes and tickets purchased will be non refundable. 2.6. I understand that in exceptional circumstances, pre-arranged absences in Term 4 are acceptable, however, the students must uphold the conditions arranged by the teacher; failure to do so will result in the student being taken out of the dance. All costumes and tickets purchased will be non-refundable. 2.7. I understand that the concert dates have been published and that all rehearsals are compulsory to attend. 2.8. Any concert rehearsals missed due to exceptional circumstances must be agreed upon with the office ahead of time. If rehearsals are missed without approval of the Academy, students will be taken out of the concert, all costumes and tickets purchased will be non-refundable. An invoice for term fees is emailed to the billing contact prior to the start of each term. Please update your JackRabbit account with any changes to your personal information immediately. 3.1. I understand that payment is due 14 days after the date of the invoice. 3.2. I understand that a late fee will be charged if fees are not paid within the 14 day period unless a payment plan has been set up prior to this date. 3.3. I understand that once an invoice has been sent out for the following term's fees, I will be held accountable for paying the full amount, even if my child leaves or changes classes mid-term. *In Term 1 we have a 2 week grace period for students trialling classes of interest & to be placed in the correct level. 3.4. I understand that no adjustment in tuition fees is made for individual classes missed for personal reasons or due to a public holiday, and BDA does not offer make-up classes. Consideration may be given in exceptional circumstances. 1. If paying independently, payments can be made by credit card, electronic bank transfer or cheque. 3. If setting up a payment plan, a schedule must be arranged before the invoice due date, via email.